Everyone knows and loves the tic-tac-toe game, one of the oldest games that humanity remembers. During all these years, many legends and myths about it were born. However, the game itself has practically never changed. Tic-tac-toe (also known as noughts and crosses or Xs and Os) is a paper-and-pencil game for two players, X and O, who take turns marking the spaces in a 3×3 grid. The player who succeeds in placing three of their marks in a horizontal, vertical, or diagonal row wins the game. 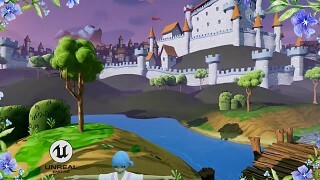 Xobox - Circle and Cross is a extended version of this game in 3D and VR. However, Xobox was born. A robot that plays tic-tac-toe. But not just a circle and a cross. But one of its kind, Tic-Tac-Toe extended with an additional dimension. This has significantly changed the game, which can be as simple or very demanding and difficult. We have a board with the size of three rows for three columns as in a classic game with an additional dimension which gives us six game boards. Here we play as we used to, on one board to set a circle or cross in one line alternating with the other player. Whoever succeeds, he wins. Simple what not ? But imagine that we enlarged it several times up to the size of 7x7x7. So we get almost 250 possibilities to put our circle and cross. We also add possibility of simultaneous play for 8 players so you can play with friends, or with our robot Xobox. This is a challenge and such game can take hours of playing. You get 15 levels in three difficult with three game styles for each Character in game. 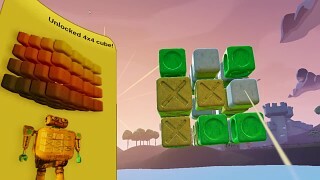 You will be rewarded for your effort independently for each game and you will unlocking the next bigger cubes and rows. So take the challenge and play the Xobox – Circle and Cross game. Get all the rewards and become the Game Master. Xobox - circle and cross - VR gameplay uploaded by rndlab Dec 2 2018 (3 views) - Xobox is beautiful extended version of Tic-Tac-Toe, Noughts, Crosses in 3D. Here you can see the VR game play of the game.